The countdown continues. Tickets go on sale from Thursday, November 9th. They are available in person from the Box Office at DRTCC. Box Office opens at 9.30am. They can also be purchased online www.drtcc.com.au . We cannot stress enough the importance of getting in early to avoid disappointment. In previous years shows have sold out very quickly. We now offer a third show and also have alleviated the amount of children in each show by having our gorgeous little Angelina’s perform in only one show. We know they will put their best foot forward. It is therefore imperative that Angelina parents purchase their tickets on the first day of ticket sales. It’s time to get really excited because after all of our hard work in class we are now about to step on to stage for our very first stage rehearsal. 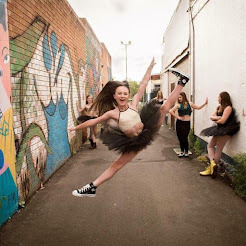 Our stage rehearsals will be held on Sunday, 12th November at Dubbo Regional Theatre, Darling St. The students are asked to please enter through the backstage entrance at Carrington Ave and mark your child’s name off the roll. This is a closed rehearsal and only performers will be allowed entry beyond stage doors and area. In the coming weeks, we will also be sending home notes regarding our Dress Rehearsal on Thursday 30th November and Friday 1st Dec( we have decided to run our rehearsal over two days to ensure it runs more smoothly. 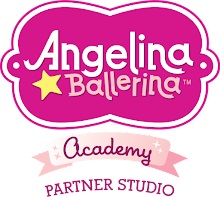 Angelina students will all be on Thursday 30th November , 3.30- 4.30pm. First half performers will then run from 5-8pm. Second half performers will rehearse on Friday 1st Dec. We will also be sending home an invitation for all Angelina students and their families to attend their special Presentation on the 9th December. As soon as order of appearance is finalized, students will be notified and we now invite expressions of interest from anyone who may be interested in volunteering assistance in the countdown and on the Concert and rehearsal days. Notes regarding Costume Balances and the organization of both Dress Rehearsal and Concert Day will be sent home closer to each event. Our 2017 Presentation will be at the close of our 5pm show for all students other than our Angelina’s . Colin Rouse will be filming and taking photos of all three shows. Order forms for DVD's will be available at the studio and be sent home with students. We ask that all orders be sent directly to Colin Rouse and not left at the studio. All information will be available on the order envelopes.